The way we feel to impress someone is by sending a big lush vase of flowers and this fits that bill. 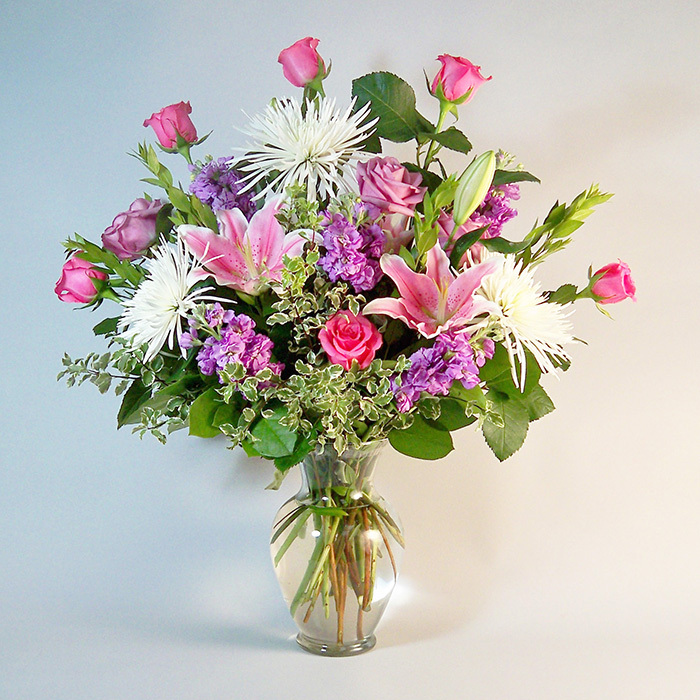 By combining lavender and pink roses with lavender stock and fragrant pink lilies with white spider mums for contrast you will make a statement with this selection. Standing over 24″ tall and 18″ wide. Available in 3 stunning sizes.